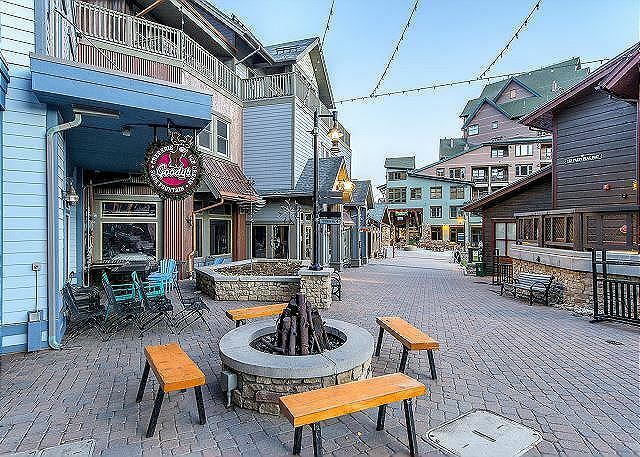 Looking for modern clean accommodations at the base of Winter Park? 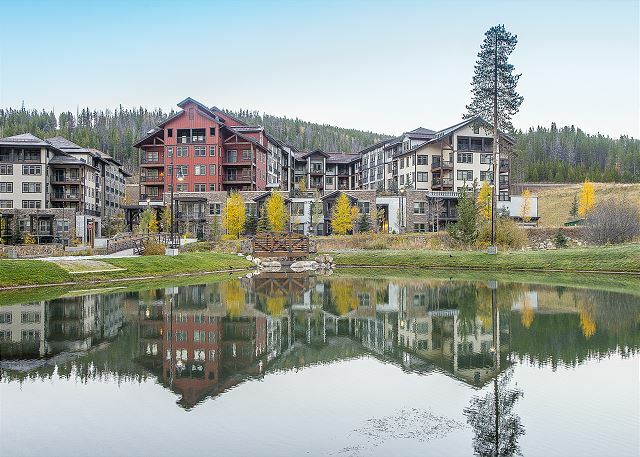 This newer 2 bedroom/2 bath condo with sleeping arrangements for up to 8 people at the base of Winter Park is your perfect getaway. This unit is located within Founder's Pointe, a newly constructed luxury condominium complex, which offers an amenity rich base experience. Enjoy the roof deck which features an POOL SIZED hot tub, gas grills, and an outdoor fireplace, free WI-FI, attached heated parking garage (fee for parking during ski-season - $16 pr vehicle pr day / no fee outside ski-season), ski lockers, and a laundry room, all add to your overall experience while staying here. 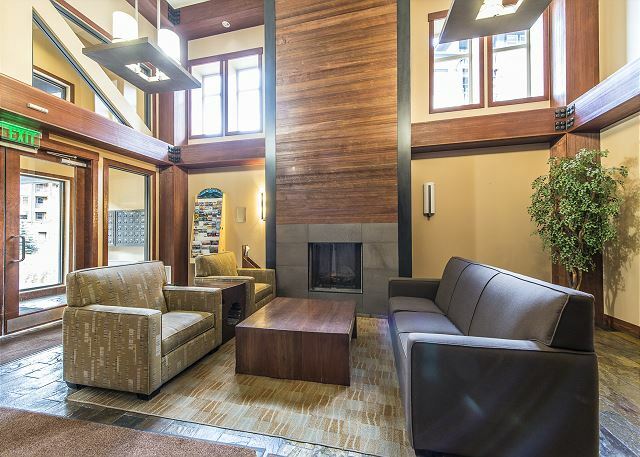 The impressive contemporary features within this unit including granite counter tops in kitchens and baths, stainless steel appliances, LG LCD TV's, XBOX 360 with kid friendly games, video, library, cozy gas fireplace, private balcony, washer/dryer, and a grand soaking tub. To allow you maximum flexibility and comfort during your stay this unit offers sleeping arrangements for up to 8 guests with a master bedroom( queen bed and a twin over twin bunk beds with flat screen TV) and attached bath, 2nd bedroom(king bed / flat screen TV) and a sofa sleeper in the family. room. 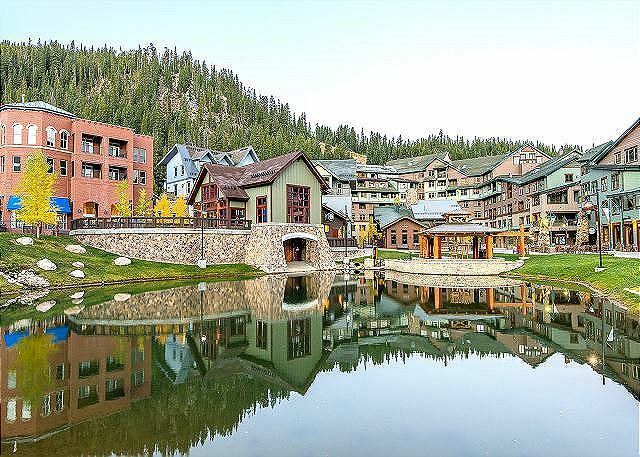 Free Hotel shuttle- During the winter months, guests of Fraser Crossing/ Founders Point & Zephyr Mountain Lodge have access to a free shuttle for all guests staying at these three properties to enjoy. This free hotel shuttle is by request and can take you to you favorite restaurants, bars, shops, or grocery store(Safeway) in town. Higher rates may apply on Saturday to Saturday reservations! 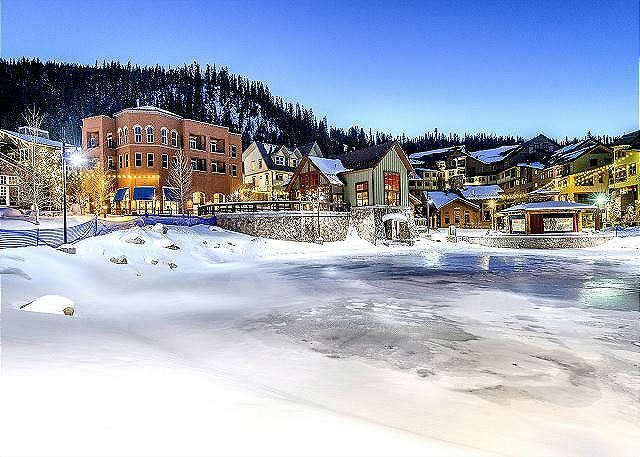 We hope you give us the opportunity to make your next stay at Winter Park your best stay! Have friends or family joining you? We have several other units within this complex please call or email for more information. Excellent. The room was clean and ready for us upon arrival, as always. Location is super easy and worth the value. For the most part everything was great...perfect location to the slopes and the village. The condo had most of what you need for a comfortable stay. The property manager was great to deal with. One of the only complaints is that you could hear the people above you pretty well. Other than that everything was good. Thank you for staying with us! Glad to hear you had everything you needed. Unfortunately there were some party people above during your stay (not our guest - however we did slip a note under the door asking that they keep it down). This is not usually an issue. Hope to see you back again soon! We had a great experience staying at Founders Pointe #4354 run by Winter Park Management LLC! Room was found clean and well stocked in kitchen and bathrooms. 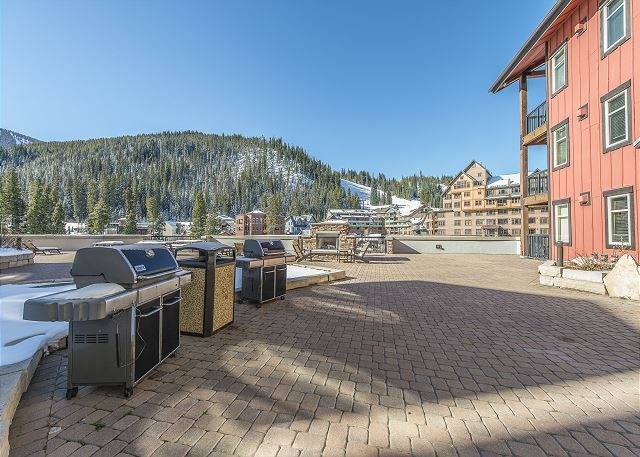 Condo and its access to the garage, patio/hot tub, and ski locker was so convenient. Heated to about 65 degrees, the garage was a great way to go between buildings (Fraser Crossing) when using the other hot tub. Ski wax/tuning area along with tables and braces were provided as well in the garage. Well thought out amenity being that we had teenagers at a ski race training camp that week. Two gas grills with direct natural gas hook ups of FP 3rd floor deck made for fast reliable outdoor cooking of burgers, steaks, etc. Also washer/dryer in condo unit at #4354 was super convenient as well. Finally, hats off to the management staff as they always answered their phone whenever I had a question, even on Thanksgiving Day! If we needed something, they had maintenance there very quickly. My family and I would definitely recommend Winter Park Management and will be staying here again when we come back to Winter Park!! We appreciate your detailed feedback. It is helpful to us as well as our future guests. We are so glad you had a great time. Thank you again and we hope your teenagers enjoyed their ski race training. Please keep us in mind for your next Winter Park adventure. Love to have you back again! We were very happy with the property. The location is ideal. The unit was well equipped and very clean. The management was very helpful and responsive. We would definitely stay here again! I was woken up by a maintenance man that had let himself into our condo at 3:45am and was loudly announcing from the kitchen that he needed to get into our bathroom due to a major water leak. I was jolted awake and was completely terrified. My husband went out into the kitchen to find the man heading into our bathroom. After about 30 minutes the man left and was back in the morning with another maintenance work (10:30am). While they were there I received a call from the property manager saying they needed to move us and said they had a 2 bedroom available. We packed our belongings and food and moved to the new condo which was a 2 bedroom. We ran into a few other issues during the move: there were no keys to the ski locker so we had to wait until about 4pm to receive keys (maintenance had to cut new keys) before moving our ski gear, there were no towels in the condo (kitchen or bathrooms, waited 2 hours for towels from the maintenance man), and there were dirty dishes in the dishwasher at the new condo. For these reasons and that we lost the first day of skiing we asked for a refund on the first night's stay as well as cleaning fees since the second condo was obviously not cleaned. They offered a refund of $125 for the first night which did not cover the cost of the unit (not including fees and taxes). The property managers did say we could check out at any time on the final day since we did have a late flight however, I received and phone call from them on the last day at 12:30pm while we were skiing asking when we would be out since they wanted to have another family move into our room that day and that they were "already losing money" on us since they "upgraded" us to another room. I felt unsafe the entire visit because the maintenance man let himself into our condo in the middle of the night and the property management team didn't acknowledge that issue. Please consider getting safety latches on the inside of your condo doors. I am not going to go in to details. Guest is partly correct, and the broken pipe was not something we planned for! We tried EVERYTHING we could to make it up to guest. Could have given her a 1 bedroom, but then she would have had to move building. The 2 bedroom that we gave her was just 1 floor below the condo that she was originally in. I gave guest A FULL day of refund (not partial) I called guest on day of departure, 'cause she did not respond to my message the night prior to check in. I did not know if she would be checking out at 10 am ...or 6 pm. I needed to find out when we could send our cleaners in - - hence the phone call. Guest may have lost partial of their first day of skiing, but by offering them to check out as late as they wanted...gave them a FULL day of skiing on their day of departure. For guest to rate our service as a 2 star (out of 5) just goes to show that "no good deed goes un-punished" and sometime you can try your hardest and throw all bones at it, but you will be left with comments as left above by a (in my opinion) very unreasonable and unfair guest. After all, it wasn't that we charged her more than $400 for 3 nights stay at a ski-in/ski-out condo. 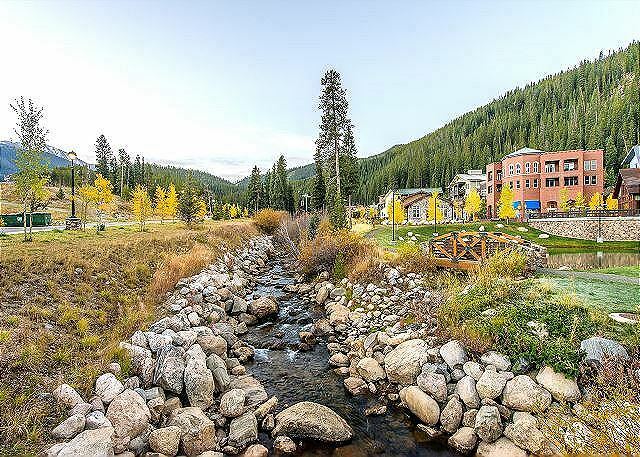 Great Location for skiing at Winterpark. The size of the master suite was great for our kids and grandchild - extra room for pack and play which was so nice. Great layout, bedrooms away from living area. Very disappointed in supplies - or lack of - no bar soap, all soap dispensers were broken, wasn't sure what was really in them. No boxes of tissue to be found until we called management, no dish towels or hand towels in the kitchen, only 1 potholder. Plenty of dishes and glasses and pans, but lacking in cooking utensils. With a baby in our group , we ate in all our meals, so really used the kitchen. Thank you for your response. We will forward this comment to housekeeping. Please note...we did bring immediately all of your supplies needed to you upon request. We apologize for not having the necessary supplies available upon your arrival. Thank you for your spot on review as we appreciate any and all comments so we can keep our guests number one. Take care and please come back and visit us again soon. It was the perfect weekend get away for my family. The condo was perfect for us. 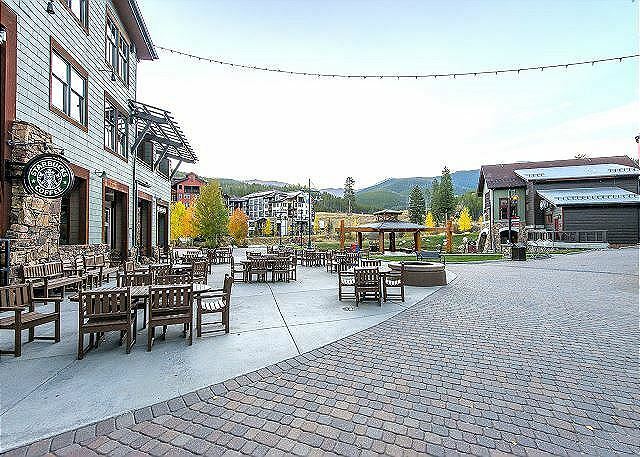 Great location at the Winter Park Resort. We enjoyed nearby shopping, dining and mountain activities. The hot tub, grill and washer/dryer were very convenient. We had a great time. The Condo was very nice. Would defiantly recommend to family and friends. Our stay in Winter Park was wonderful. The location was central to all the locations we visited, Rocky Mountain National Park, Red Rocks, Denver, Boulder and The Stanley Hotel. The condo was very well appointed and made a great "home" for us while we visited. Overall good. Was not informed that the hot tub was out of service. Would have looked elsewhere had I known. Hi Diane, sorry to hear about the hot tub. Next time call us and let us know if you have any issue. There are two hot tubs in this complex. One was out of service for necessary repair, but the other was available for use. Spacious and conveniently located condo. Thank you for the review :) Founders Pointe is great! Great condo! Very clean. Location was perfect. Thank you for your review! 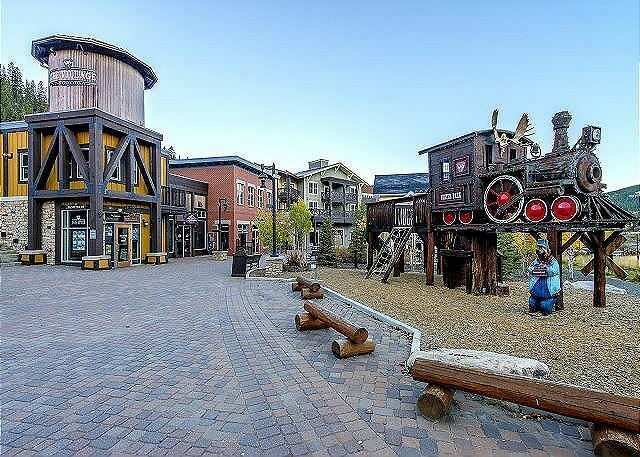 We love Founders Pointe! Hope to see you back again soon. this unit was very clean and in the middle of it all! the location was right across from a mini skii rink and lifts. there were a bunch of restaurants walking distance as well and if not there was a bus that took us where we needed to be in town which was a 10 minute ride. the unit was perfect when we walked in and have no complaints. I plan on going back very soon! Stayed three nights with another 2 couples and two little ones. The condo had all the necessities including a crockpot which came in handy. The rooms were very spacious and the open floorplan was perfect for entertaining. I think the only issue we had was figuring out which thermostats controlled what. Other than that we loved our stay here and would definitely recommend this condo to anyone. 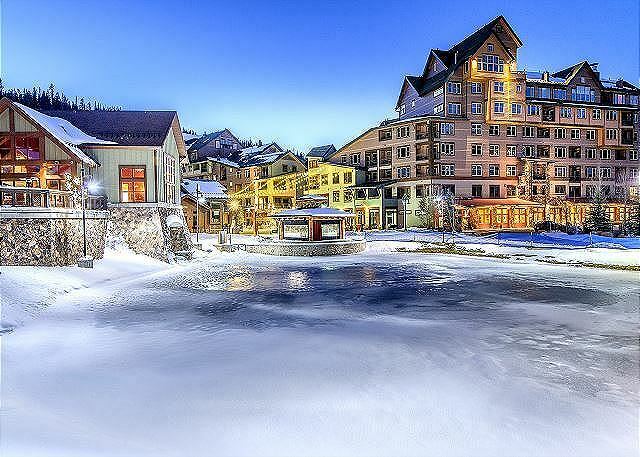 It's walking distance to the lifts and restaurants. My wife, little kids, and myself recently stayed here for a long weekend. Everything about the condo was as described. It was nice being so close to everything. Was easy to enjoy the area and come back to put the kids down for a nap. On our next trip to Winter Park we'll definitely try to book here first. Here's a tip: If you pay for garage parking, the day you're leaving, make sure you make your garage checkout time an hour later than your condo checkout time or you'll be charged again when leaving the garage. Tip #2: Bring your own pillows. We're not picky sleepers, but the pillow situation was incredibly uncomfortable. Thanks for taking your time to write about your stay. Glad that you had a good time. I will make it my first priority to go and get the pillows checked to see if we need to replace them. I am on it!!! Charlotte Pillows have been replaced! Our rental was comfortable but pretty basic. Minimal kitchen accessories, no garbage bags or toilet paper. There was no ceiling fan in the bedroom with the king bed which made the room a little too warm for comfort since there is no air conditioning. A box fan in the closet was available but not quite as effective. Thanks for taking your time to write about your recent stay. I wish I would have known that you had no garbage bags / toilet paper 'cause we could have delivered that immediately! I will contact owner of the unit to see if master bedroom is wired for a ceiling fan!!! Thanks for taking your time to write about your stay at this nice 2 bedroom at Founders Pointe. Glad that you liked the condo and that you found it clean, convenient and comfortable!! Thanks for taking your time to rate your stay. Glad that you had a great time! We had a great weekend in the condo. It was clean, comfortable, and super convenient to the base of WP. We would definitely stay there again! The owners were great to deal with, too. Thanks for taking your time to write about your stay. Great to hear that you enjoyed your stay and that you found condo w/location convenient!! Fantastic location, wonderful condo- very well stocked in the kitchen so dinners at home were easy. Only bummer part was that the hot tub was closed for repairs one day. Appreciate you taking time to write about your stay. We are glad to hear that you enjoyed the condo. Sorry to hear that hot tub were out of commission one day. I am sure it was not scheduled - but mere an 'emergency' repair. Fantastic place to stay. Clean and Comfortable. Plenty of room and extra beds for family and guests. 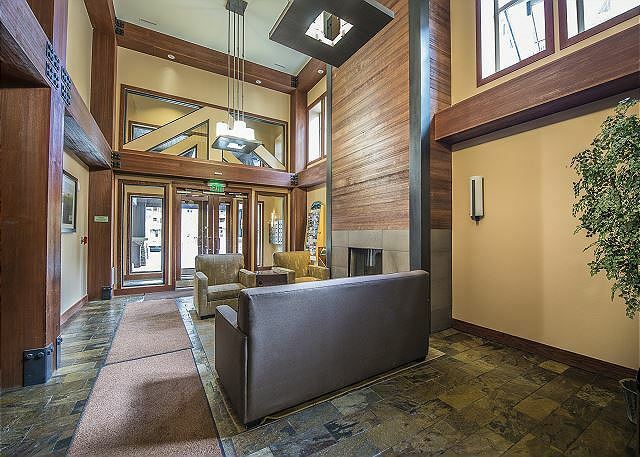 It is located on the same floor as the hot tub which after a great day of skiing is very convenient. Management was very helpful with check in procedures and questions. We booked this Condo via the Internet, and all our plans turned out superbly. It even snowed every day of our visit !! This condo was very well appointed, and we had a faultless stay. Thanks for taking your time to write a review and rate your stay at this awesome 2 bedroom @ Founders Pointe. We are very pleased to learn that your trip went well in all aspects and that you got some good snow during your stay! It was a weird set up. Thanks for taking your time to write about your stay at this 2 bedroom @ Founders Pointe. Confused as to the comment about "weird set up" ...condo is exactly set up exactly as how it is described in the listing. Unfortunately no properties in WP have A/C - so I understand if you felt it was hot in the condo.A suggestion that we give our guests is to open windows and balcony door. Temp falls to mid 40'ies at night, so that will at least make it possible for a comfortable night of sleep. I will make sure that cleaner gets the note about unit being dirty, however not sure which part they missed - so I don't have anything specifically I can address to them, beside being more attentive to the check sheet that they have with them while cleaning. 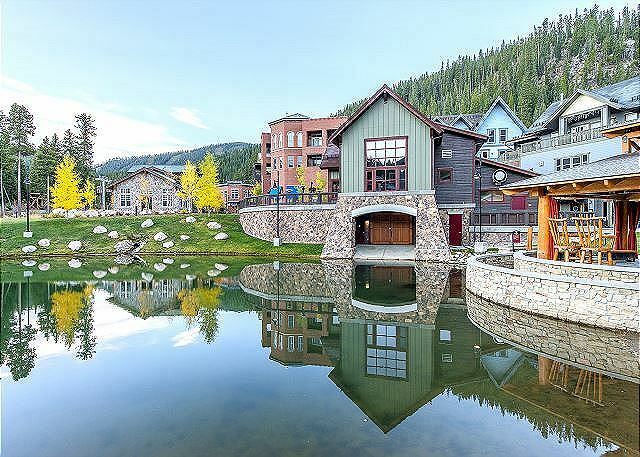 Great place to stay at winterpark. Very convenient to everything. Would recommend this condo if you have kids who like xbox 360. We've stayed here 2 years in a row and will continue renting this unit. Thanks for taking your time to write a review. Glad that you found the condo and the property comfortable. Thanks for letting me know that kitchen need a couple of spatulas. Will take care of that tomorrow!! The property was exactly as described. It was very comfortable for our family of four adults and one child. Thanks for taking your time to write a review. Glad that you found property in same condition as you expected it to be in and that you had a great stay. The property was very nice. The bed was comfortable. Because it is so close to the Zephyr lift, we came in and ate leftovers for lunch every day, which saved a significant amount of $$ and eases the overall cost of the condo. The outdoor deck and whirlpool was a welcome relief after a long day on the slopes. We cooked all our meals in the condo, which was typically under-stocked with cooking utensils (no spatula, but two corkscrews, dull knives). However, this is a minor inconvenience and I wouldn't be surprised if there is a spatula available for the next guests. Nick and Charlene were very responsive and helpful during the entire process. Thanks for taking your time to write a review ...and for recommending the property to others. I am glad that you had s good time and that you took advantage of being so close to the slopes - going home and had a good and healthy lunch in the condo!! I will make sure to bring up some cooking utensils to the guest that is staying in the condo now (checked in same day as you checked out) so they are not encountering same problems as you did. Next time you come, and you have any issues...I would truly appreciate you reaching out to me so I can take care of the issues while you are there (vs waiting until you get home) Thank you!!!! This condo was perfect. 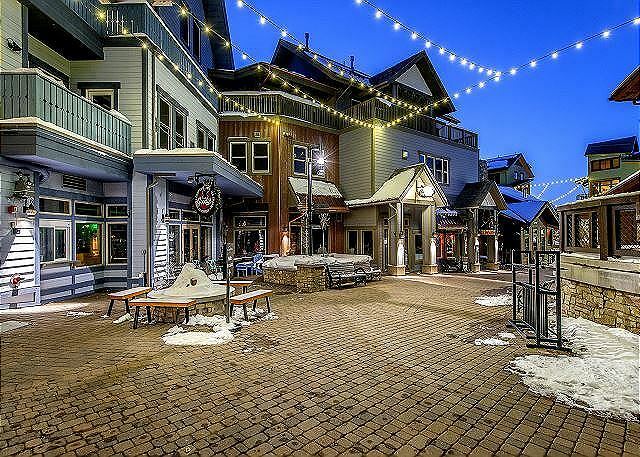 The location is right in Winter Park Village, and we loved how accessible it was from the slopes. The unit was very clean, spacious, and fully stocked with kitchen ware so we could cook breakfast the next day. We also loved the hot tub on the deck! All the instructions were on point, we had no trouble getting into the unit or parking. Overall we would return here weekend after weekend. Thanks for taking your time to write about your experience staying at this unit at Founders Pointe. Nick and I are glad that you found the unit to your satisfaction and that you liked the nice / big hot tub! Looking forward seeing you back at this condo on many more weekends to come. We decided at the last minute to drive out from Minneapolis and ski for a couple of days with our three boys and wanted something close by the mountain. Charlotte and Nick were very helpful with the last minute booking and the place worked out great. Hope to try it again sometime down the road. Thanks for taking your time to write a few words about your experience at this great condo at Founders Pointe. Glad that you had a good trip. Hopefully we will hear from you again should you plan on coming back to the beautiful Winter Park!! Comfortable stay at Founders Point! From our initial parking in the garage to convenient storage for skis to the comfortable accommodations ~ made for a perfect ski vacation!! We were able to check in a little early and needed help with the door code because of my error and assistance was available right away! Everything went smoothly and very comfortable! Thank you!! Very happy to learn that you had a smooth, comfortable AND PERFECT vacation and that you found the parking & ski locker convenient as well. Hope to hear from you again should you plan on coming back to Winter Park!!! The condo was perfect location, just a walk across the street to ski. Nick was also really accommodating even to the point that we arrived early and the unit had not been cleaned yet, but he was still nice enough to give us a different code and allow us to at least put our bags inside. Sweet! Hot tub is on the same floor, which was perfect for my family, but the room is at the far end from it which also meant it was quieter too. Condo had all the basic essentials for us to enjoy our trip! Comfortable, basic Condo just across the Street from the ski lifts.Clean & well looked after. Charlotte in management was absolutely outstanding & went beyond the call of duty to make sure our stay was trouble free. Thank you. Fantastic location for a great unit. Extra beds were awesome. Thanks for taking your time to write a review, and thanks for taking good care of our condo!! Glad you liked the condo ...the location...and the new extra beds!!! Hope to hear from you again, should you plan on re-visiting Winter Park. Great location, clean, well kept condo, with good location to hot tub. Kitchen was well stocked. Easy walk to the lifts and starbucks. Thanks for taking your time to write a review!! ..and thanks for the positive feedback and 5 stars!! Hope to hear from you again, should you plan on revisiting Winter Park. Great condo would rent it again! 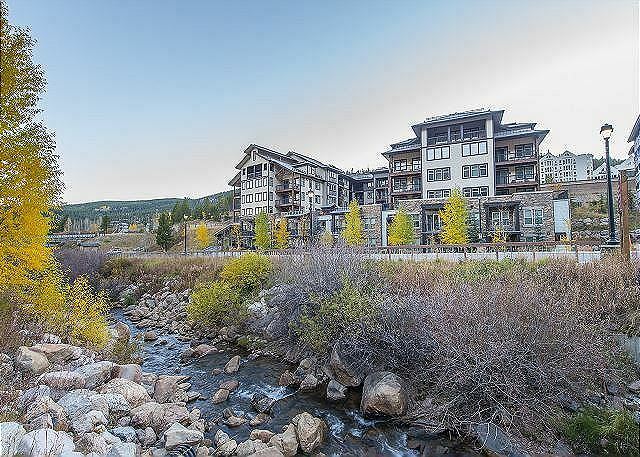 This condo at Fraser Crossing was convenient to the ski area and was a great property for our family. Fantastic property in ideal location. Owners were great and we would definitely stay here again. Even though it was the busiest time of year, it didn't seem to be overly crowded. Always plenty of room in the hot tub and never had to wait on an elevator. Nick the owner of the condo was very accommodating as we were scammed on Craigs List with someone using his pictures from another unit which was not available. He was able to locate another property for us otherwise we would have been searching over spring break for a place to stay for the long weekend. 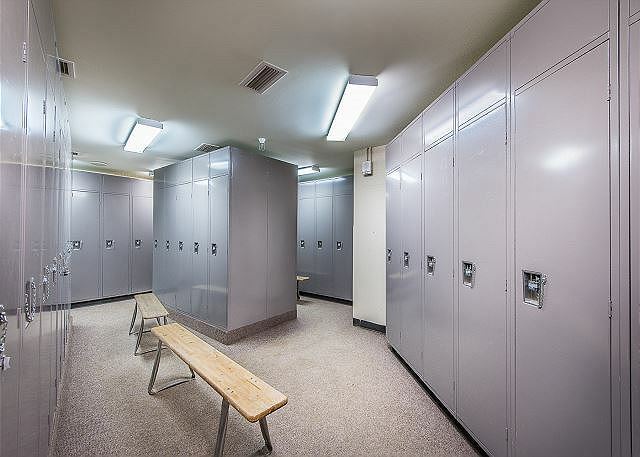 The condo had lockers for your ski equipment and a short walk across the street to the slopes. Wagons were all over the place to put your things in so you didn't have to haul. There was a huge hot-tub on the third floor which is exactly where the unit is located so down the hall and out the door -- perfect. Great temperature! The only thing I would suggest for the condo is dressers for longer stays for people who like to un-pack. Oh, they had plenty of dvd's and even an x-box and games that my kids loved. We have stayed in this unit before and it's great! Nick and Charlotte are great to work with and made our stay an enjoyable experience! We will stay at this property again. Was a great experience at a great place and super competitive pricing. We had a blast! And just a very short walk to the lift. Thank you ! We enjoyed this 2BR/2BA condo. It does not actually open onto the amenities deck, which we misunderstood, but that's better. So it was quiet. Plenty of room. Nice to have laundry in the unit for our week stay. Kitchen was basic but functional - used it every day. Gas grills on deck, and outdoor fireplace were definitely nice for us. FP has best hot tub in the valley, just down the hall. Garage was convenient. All in all very easy, very comfortable, very close. Had a great time at Founders Point. Really great location- very close to the main lift. Best hot tub we ever had- really large and almost like a swimming pool. Management could have been a little more on top of providing towels at the appropriate time, however (although when we called and asked for more towels they responded very quickly). Very clean and modern. Kitchen not as well stocked as it could have been (no griddle to make pancakes/french toast for example). Very roomy 2 bedroom. Easily sleeps 6.. Beautiful bathrooms with 2 full tubs. Wonderful to have washer/dryer in the unit! I would definitey return here! Very convenient, clean, quiet and well appointed. It was a nice place and we will stay there again. Having the washer and dryer in the room was a big plus. Recently stayed at Founders Pointe in 2BR condo over Christmas and New Year's and was impressed. The unit was in good shape w/ nice amenities and plenty of room. Common areas in good condition and heated underground parking a plus. (work). They were very confused, one would say one thing but then the other would send a contradictory email, it took multiple phone calls and emails on our part to get it somewhat satisfactorily resolved. 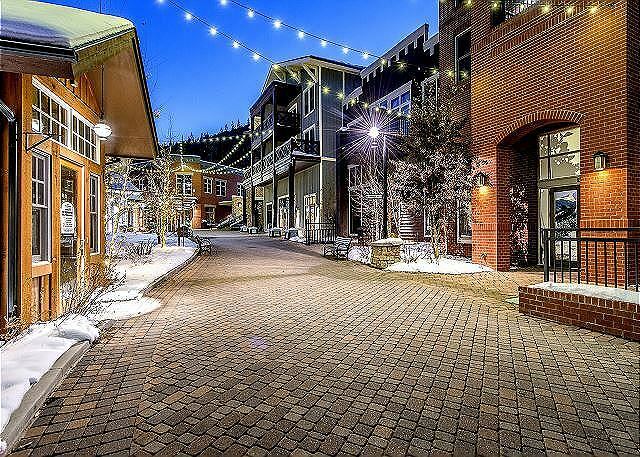 Great Winter Park Condo - very clean, well equipped, easy walk to village and slopes. Overall we enjoyed the property and location. It is a beautiful condo, great location and very helpful property managers. the hot tub was awesome! The only issue was a continuous noise which sounded like running water 24 hrs/day coming from the master bath. It was not in the condo itself, but somewhere nearby. It was difficult to sleep. The rooms were clean and everything went well. There were even a lot of movies to watch! The property was close to the mountain and in great condition. The owners were incredibly responsive & most helpful throughout the booking and our stay. Would highly recommend them. Charlotte was very gracious and good to deal with !! Nick was excellent with his recommendations on Eagle Wind lift and the runs @ thunderbird trail through the trees !! Also the nice little gift that Nick gave us to warm up with the night we arrived !! 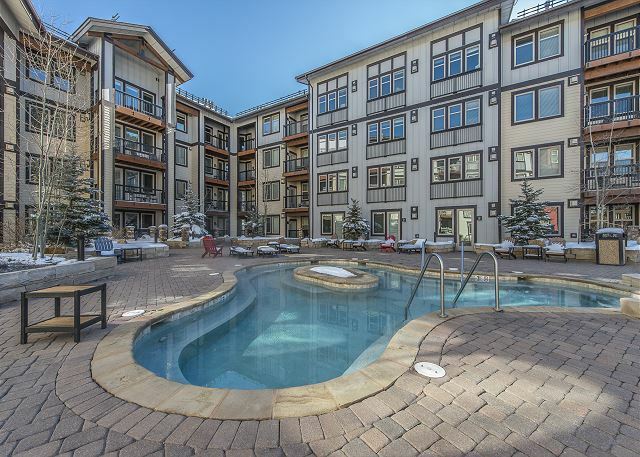 The Fraser Crossings complex is conviently located across from the Zephyr Express Lift and the Hot Tub was a plus !! The kids had a great time !! I highly recommend this property as well as the excellent management team that Charlotte & Nick provide !! We have been renting through Nick and Charlotte for several of our stays this winter. Every stay has been wonderful. Property is ALWAYS clean, location and amenities are wonderful, and they are so helpful - it is obvious that they want your stay to be as good as it possibly can be. 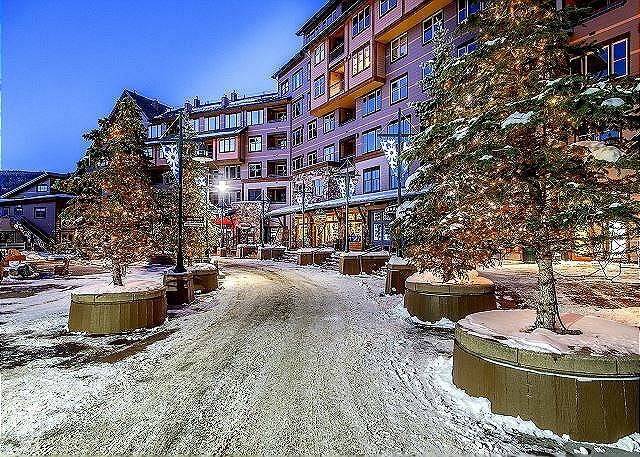 Awsome condo within a short walk to the slopes. On the same floor as the jacuzzi deck which was great for realaxing after steeps and deeps or to stretch out those sore muscles in the morning. The unit was new, clean, and was a home away from home. I would not stay at any other property on the resort.